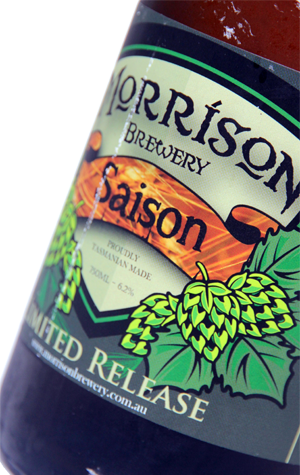 At launch, this was a rare trip for Paul Morrison outside the British Isles and Ireland for inspiration for this seasonal that was first released in 2013. He's since ventured far beyond, adding American style pale and amber ales to the core and limited run lineup, as well as brewing other European style beers. And this Saison, which is released annually in 750ml bottles, suggested it was a smart move casting the net wider for influence too. As one would hope from such a beer, it is zesty, dry and refreshing with appealing herbal and spicy characteristics in there too. It fared well in our 2016 Saison Blind Tasting and also nabbed silver at the 2016 Australian International Beer Awards too.